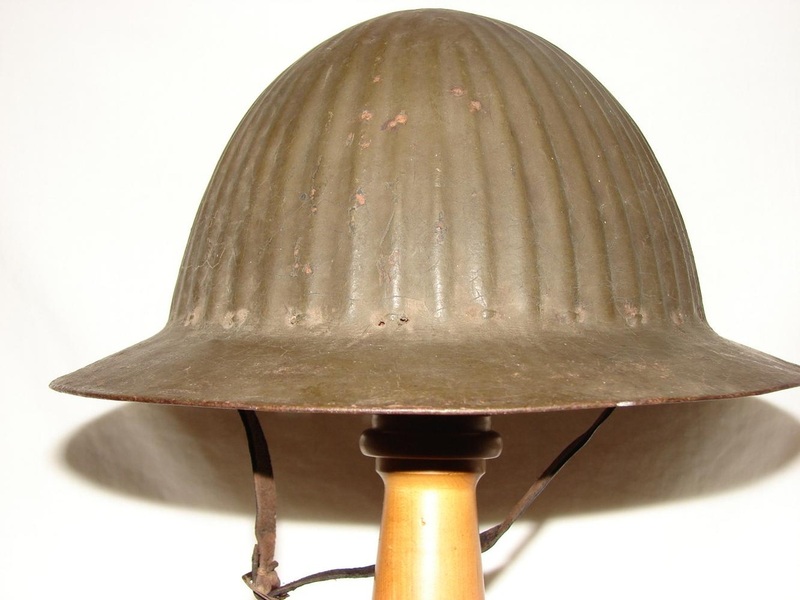 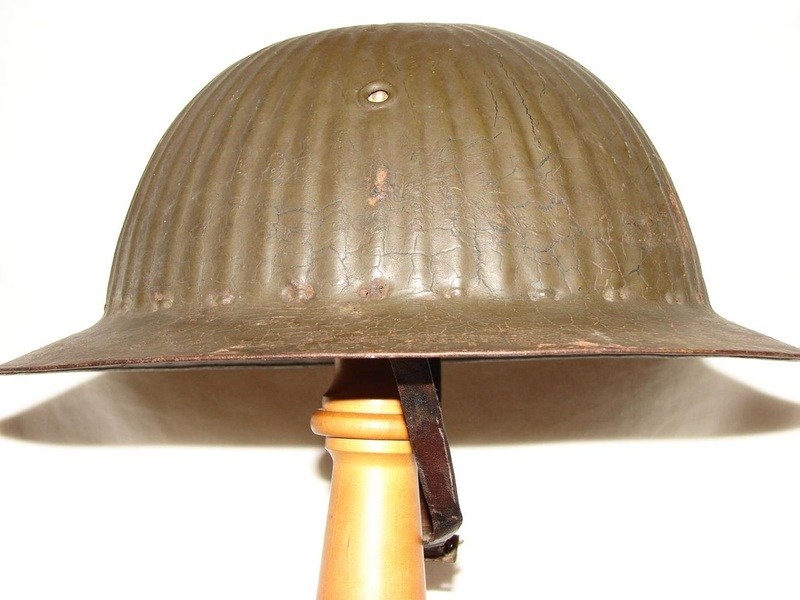 Modelled on the British Private Purchase helmets, these M16's were made of mild steel and offered very poor protection during the early years of WWI. 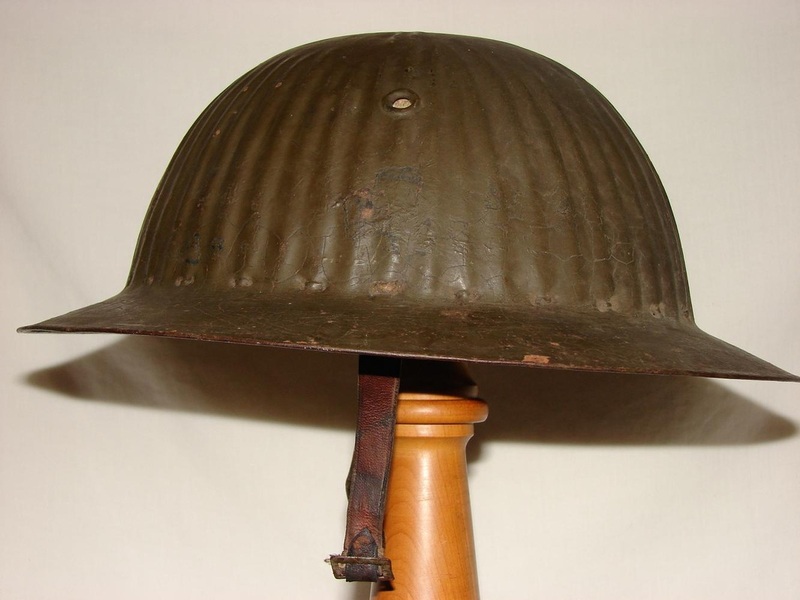 The helmet itself is very distinctive with the fluted bowl, there were vents to either side of the helmet and reinforced with washers on the interior. 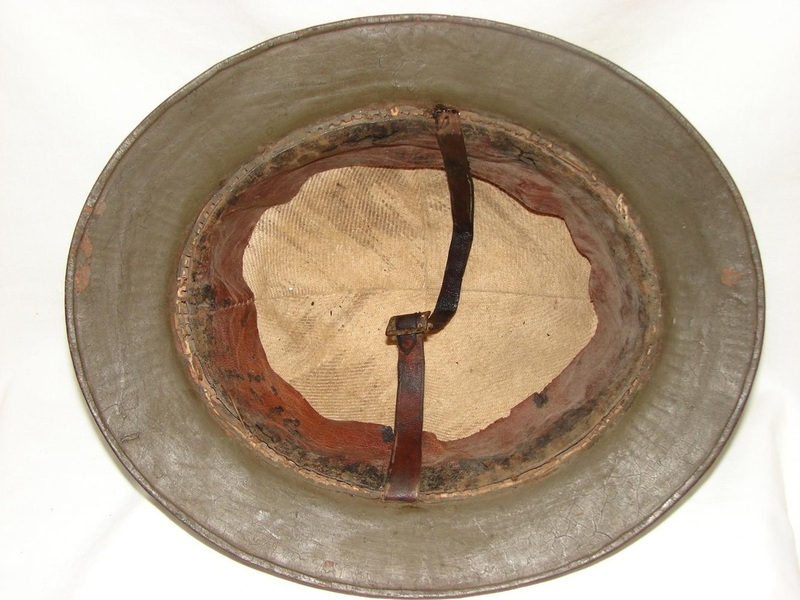 The liner was basic, being constructed of a woollen type cap and a leather sweatband. 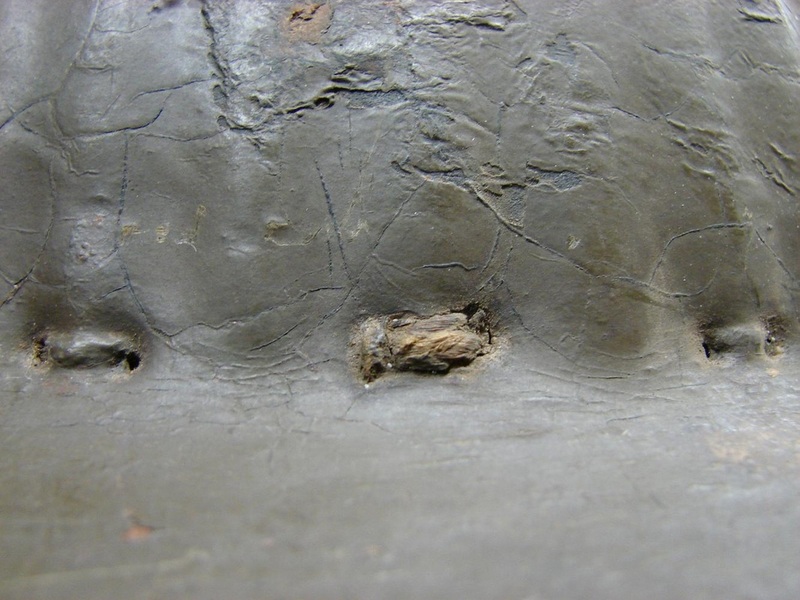 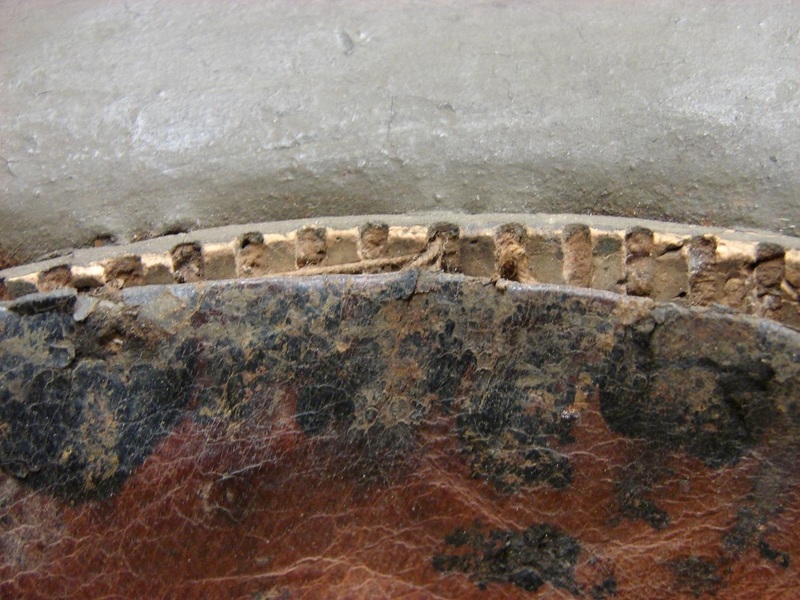 The liner was held in place by cord threaded through holes at the base of the fluted bowl, there is a series of corrugated cork spacers between the steel shell and the liner doubling for shock absorption and ventilation. 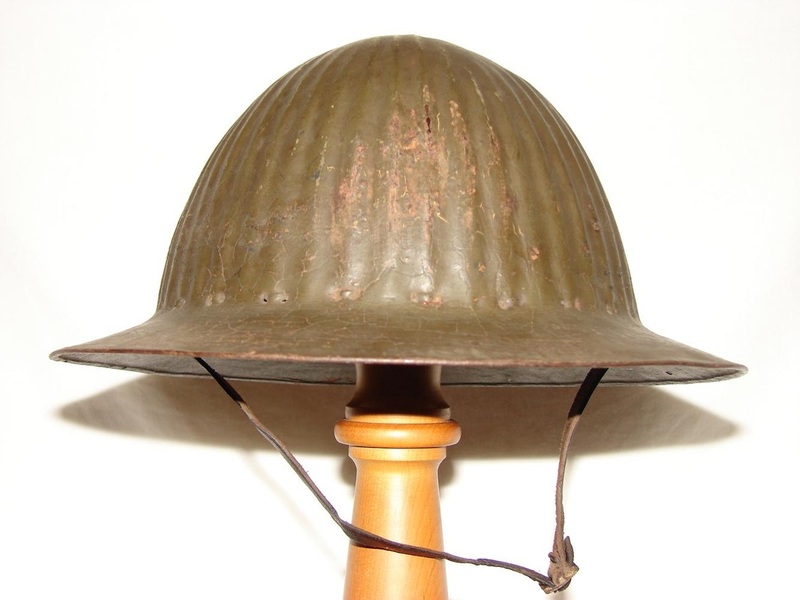 A very scarce helmet to be found complete with the liner and chinstrap.